Your standard-issue food pantry offers prepacked, packaged standbys like powdered milk and boxed cereal. 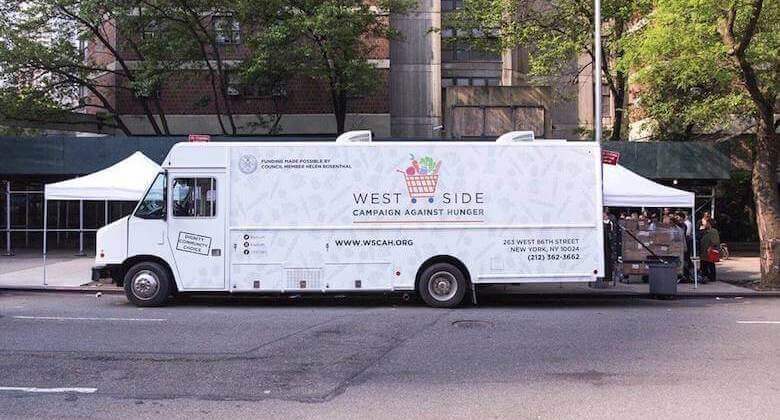 But the West Side Campaign Against Hunger is not your standard-issue food pantry. 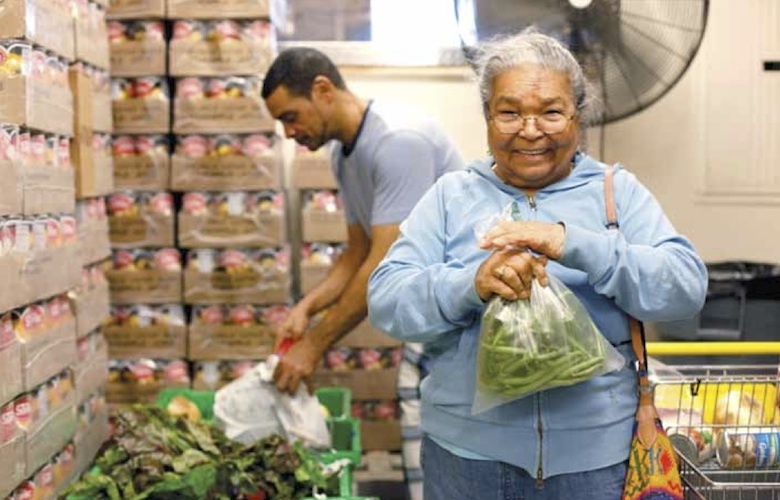 The innovative agency, which operates out of well-organized basement quarters at the Church of Saint Paul and Saint Andrew on West 86th Street at West End Avenue, has teamed up with neighborhood CSAs to offer their 200–300 daily low-income clients the kind of just-picked organic produce chefs fight over. CSAs have enjoyed a spike in recent years, and now New Yorkers by the thousands prepay for a weekly share of a local farm’s harvest. But, inevitably, a few members get delayed at the office (or nab last-minute tickets to a Yankee game) and miss the weekly produce pickup. 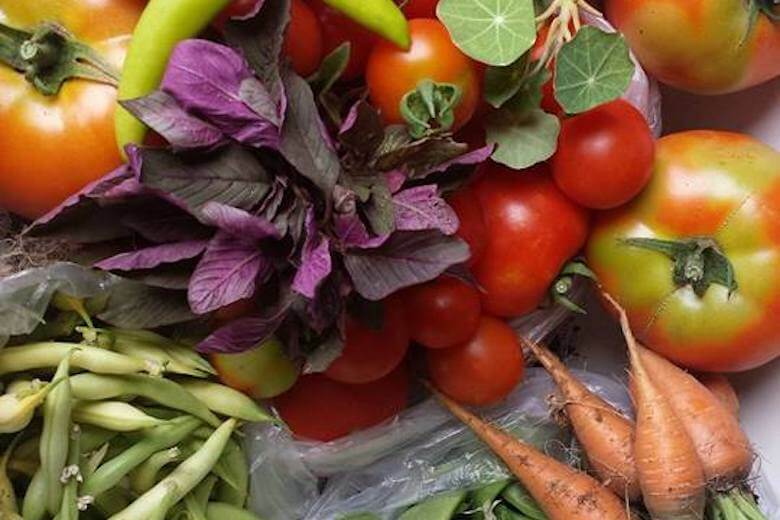 This collaboration between CSAs and food pantries puts that forgotten produce into the hands of the 35,000 families the agency serves each year. But unfamiliar fare can be a tough sell. “I have this fabulous rainbow chard and I can’t give it away,” says chef and cookbook author Julia Della Croce, full-time food policy strategist and de facto pantry manager at West Side Campaign Against Hunger. Instead of receiving a prepacked sack, this pantry’s clients browse the aisles of what looks like a miniature store, choosing enough items to feed their household three days’ worth of meals. 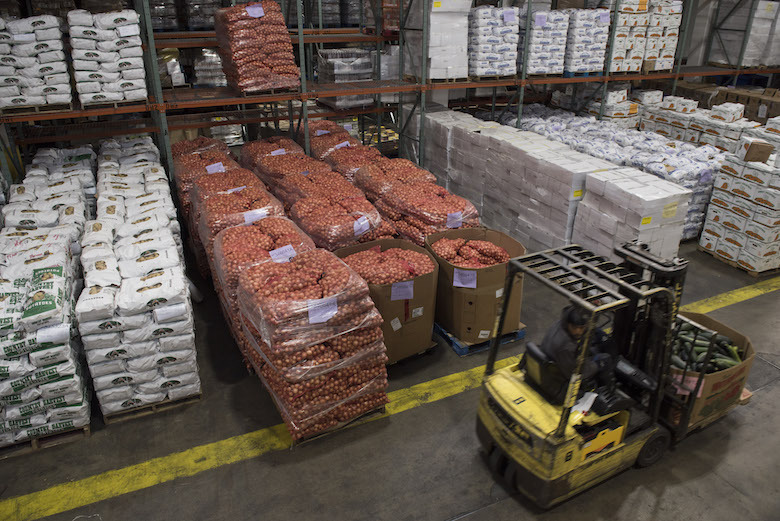 Metal racks are lined with canned fruits and vegetables, beans, rice, peanut butter and cereals; a freezer offers frozen chicken courtesy of the federal government plus donated loaves of Eli’s bread. Those other ingredients can be tough competition for the produce bins, filled with the surplus bounty of Roxbury Farm, Chubby Bunny and the West 100th Street CSA at Ansche Chesed: carrots, green and red cabbage, zucchini, celery, green beans and even pints of those superstar Sungold tomatoes. Some clients pounce on the pristine produce, but others are more comfortable with the canned kind. “Many of our families live in ‘food deserts’ where they rarely see fresh produce,” Della Croce explains. And who wants to eat—much less cook—something totally unfamiliar? So on a recent Monday she was sautéing a big batch of Swiss chard and garlic in olive oil, salt and pepper and offering samples to the curious. “People need a motive to pick something they’ve never seen before,” says Stewart Desmond, the agency’s development director. “The only way to give them that is to show them what it tastes like.” Some clients looked skeptical, but the simple preparation was powerfully persuasive and big bunches of shiny leaves soon found a place in one basket after another. In coming weeks Della Croce plans to convert clients to the culinary wonders of beautiful baby kale, cheese pumpkins, kabocha and delicata squashes, all sorts of roots, and heirloom apples. The canned stuff won’t stand a chance.